Firstly, to list just 5 great movies in a year is a near impossible task especially when it's in a year full of quality. 2017 saw more and more reboot, superheros and franchises (even though not all were bad!) but it also saw some highly original, compelling and exceptional film on show. 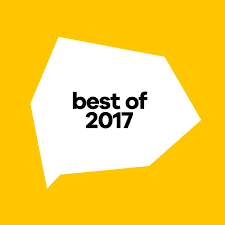 Without further ado here are my picks for the best of 2017 (which hopefully contains something for everyone!) in an eventful year in cinema. A different take on the superhero movie with James Mangold adding extra heartfelt drama and added violence on Hugh Jackman's final hurrah as the infamous Wolverine. Gives substance to a well told tale. Read my full review here. A wonderful sequel to the 2014 hit, this Paul King directed film is fun for all the family and will leave you grinning from ear to ear for it's 105 minute running time. Makes the 2017 best film list quite comfortably. Highly recommended! Maybe a controversial pick this one as it tends to cater for sci-fi fans in the main but this Denis Villeneuve directed feature persists with the same ingredients that made the original such a cult classic but adds his own unique brushstrokes and combined with Roger Deakins breathtaking cinematography serves up one of the years best. Simply one of the cinematic events of the year. Director Christopher Nolan and a cast that included Tom Hardy, Mark Rylance and Kenneth Brannagh bring this World War spectacle eerily to life. One for the MAXX screening and one that will resonate with the audience long after the end credits. Magnificent! Chilling and highly original horror film from Jordan Peele that would correctly be the "movie of the year" choice of a lot of the cinema going public. This is a film that will haunt you for days after viewing! My first review to appear on www.traleetoday.ie so it will always hold a special (if not scary) place in my heart! Some movies that just missed out on the list: The Big Sick, Wind River, Detroit and War for Planet of the Apes.